Summer is here, which likely means you are planning weekend getaways and days at the lake. While spending time in the hot Texas sun in your best bathing suit should be relaxing, sometimes worrying about hair removal can make the day a lot less enjoyable. Those who opt to remove unwanted hair are left with the option of either shaving regularly or waxing once a month or so. 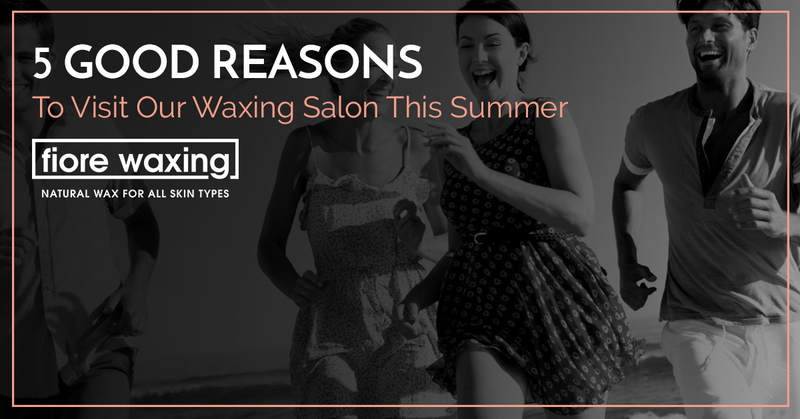 Personally, we think shaving is a drag, so in today’s blog, we’re offering up some reasons why getting a fresh wax this summer is the perfect way to truly enjoy your fun in the sun! You won’t have to take a razor on that camping trip: Camping is all fun and games until you realize you might have to find a way to shave while in the middle of the woods. If you’re concerned with having smooth legs and hairless underarms on a camping trip, you might want to get waxed before you go so you don’t even have to worry about it. You can save yourself some pain: Have you ever shaved your legs the morning that you go to the ocean and winced in pain as the saltwater hits your legs? Or have you ever sprayed bug spray on freshly shaved legs? Shaving creates little microtears on your skin that can be incredibly painful when exposed to irritants like saltwater and bug sprays — something you likely come into contact with a lot during the summer! Avoid that pain by getting your legs waxed a day or two before you hop in the ocean or head out on that bug-ridden hiking trip. They’re called bikini waxes for a reason: Bikini waxes became popular when women started regularly wearing bikinis and realizing that there was a whole new area that needed hair removal. Bikini waxes are a great way to remove hair near the bikini line without dealing with painful razor bumps which can be exacerbated by a tight swimsuit. Because you want to: Thankfully, this is the ONLY reason you need to get waxed! If you prefer having regular waxes or you want to try it for the first time, Fiore Waxing is the perfect waxing place for all of your hair removal needs. We can do everything from basic eyebrow shaping to facial waxing to full Brazilians. With our low costs and convenient location in the Dallas-Fort Worth area, it’s never been easier to remove unwanted hair. As a full-service waxing salon, we cater to men’s waxing needs as well. Whether you want to shape up your brows or wax your entire body, we’ve got you covered. More men than you likely imagine indulge in body waxing services, especially during the summer when they spend a lot of time shirtless. Some of our most popular men’s waxing services include back, chest, and shoulder waxing. Stop By Fiore Waxing Salon Today! Get ready for summer by getting rid of unwanted hair for weeks at a time! Our skilled technicians use the best practices for hair removal, and the all-natural wax that we use at our salon helps to make the whole experience less painful and result in less irritation. Stop by or schedule an appointment at our waxing salon today!